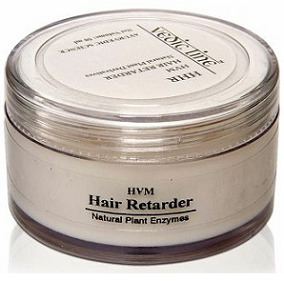 Suitable for All Hair types: Virgin/Colored/Chemically treated, Sensitive Scalp, Kids as well as adults. Doubles up as a great affordable color protect shampoo. Hi Gagan...this is the first time that I've come across your blog and I'm glad I did...its detailed yet not verbose and your views are comprehensive and very functional. I personally found it to much better in quality compared to most Indian blogs I've come across so far. hI Gaganji, its great deeds by you by sharing valuable information. i would be glad to hear the steps in involved in gray hair coverage using Indigo and Henna powder. awaiting your reply. 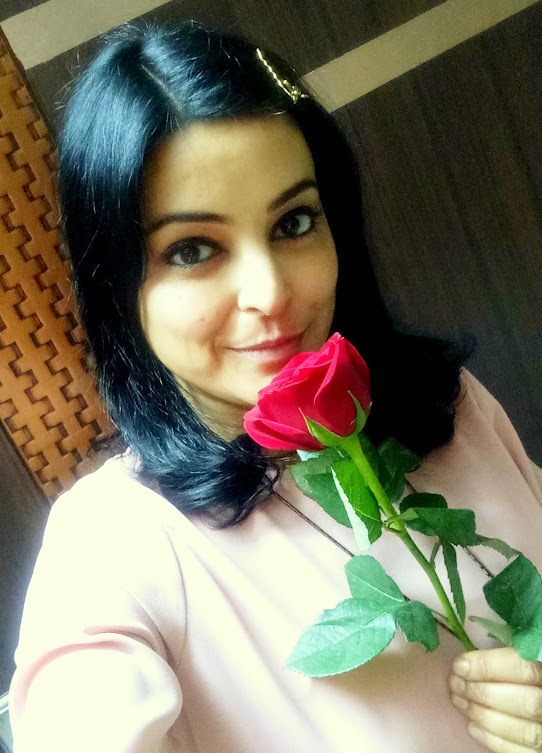 Hello Gaganji, I am Aparna, from Chennai! Your blog is simply awesome!! Answers to everything, well almost everything. Keep up your good work!! I have a very curly hair, I love all the products that support, frizz free, soft curls. I am currently using TIGI Bed Head, I love these products, please try and help us with your recommendations too!! Awwww thank you Aparna for so much love and appreciation :) It made my day. If you read this, can you please tell me the exact name of the product you are using from TIGI? and in case you want to share a review, it would be great for other people with curly hair. Hi Gaganpreet..... You have created Awesome blog!!!!!!!.... I really liked it.......... 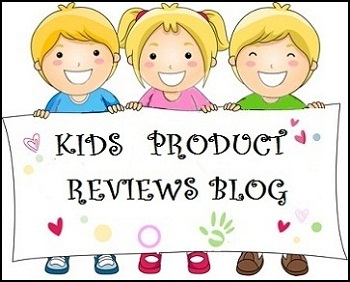 Reviews of products are really fantastic...... providing answers of everything...... Keep it up dear!!! Hi gaganpreet, I've just gone through this blog nd its really great. I have a mid back length hair. Its fizzy nd unmanageably wavy. I'm afraid of permanent hair straightening or hot irons. Can u please suggest me a product which will be affective nd also cheap..
Dear Sayantani, glad to know you liked my blog :) Thanks for reading. Most people have wavy hair and it's natural to some extent but also gets affected by simple things like how you groom your hair and how you tie them after shampooing. In rainy season and humid weather, we all get frizzy hair but if they are like this all year round, then of course you need something to manage them. There is no product that can give you straight hair like you get with heating tools. Don't braid them too tight. Wash your hair hanging them towards your back instead of collecting them over your head or bringing to the front. Keep them in their natural position. it requires some practice to wash them this way but it will help you. After washing, wrap them gently in the same position. Once towel dried, take some oil of your choice and apply to the lengths as hair serum. For application method, you can refer to the serum reviews under 'Hair Care'. When hair are almost dry/ very slightly wet, untangle them with your fingers. Tie in a pony tail and let them hang straight. This should keep them more aligned. I would suggest investing in Jojoba oil. 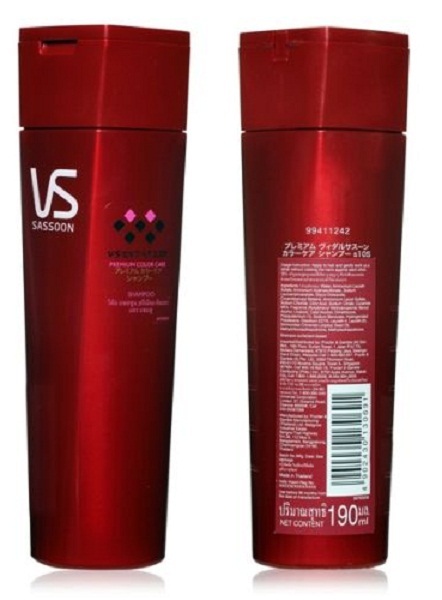 It will be within 300 bucks but a small bottle lasts really long when used as hair serum. You can also try hot towel treatment right after shampooing. That is milder than heating tools but helps straighten hair. Dear Nity, thanks for subscribing. I have checked all my folders thoroughly and even searched with your email ID. I could not locate any email from you. Could you resend it. I have personal commitments till Sept 1st week and still replying emails in between when I get time. Please expect a delay in response. I tried henna and indigo application today.As per your advise i hennaed my chemically treated hair for 5-6 times. I m so happy to see the brown colour and soft texture of my hair after the first application of indigo.I m quite confident that my hair will get better and better after further applications...Goodbye to chemical hair colors...my hairs r shining and looking so naturally coloured. Dear Rashmi, thanks for taking time out to share this feedback. I really appreciate this. I was worried about henna and/or indigo turning some other color on your chemically treated hair. But isn't it just amazing how friendly these natural colors are? So glad they worked. I have read your post on the above subject and need your help in following the same in my routine.I have grey/ white hairs only on the crown of my head. Even though I use chemical colour (loreal, garnier) to colour my hair growth once in 2 months, nonetheless, I would be happy if it is naturally done and not chemically. I have seen a drastic change (bad) in the texture of my hair since I started using the chemical hair colors. please mail the step by method of using the Henna-indigo method of coloring hair. also let me know where I can buy Indigo. I can get the henna from the patanjali store near my house. Looking forward to hear from you. I enjoy reading all your posts on your page. Continue the good work and all the best. Dear Bhamini, thanks for reading and for your faith in the information I share here. I have emailed you the details two days ago. Dear Sameer, coloring the side burns is really tricky because they form a part of your face and when you wash your face, those hair come in constant contact with water. That ways the color may wash out soon. 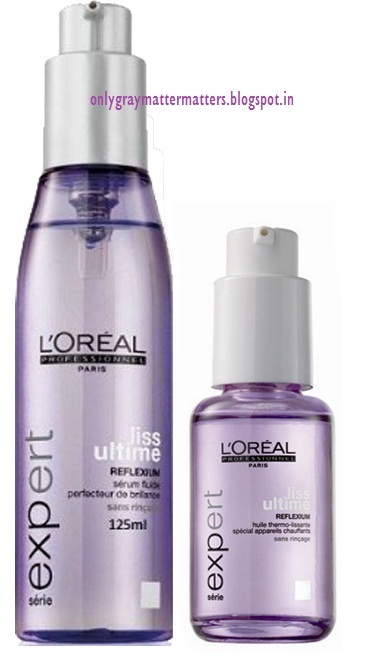 Off late, I am hearing a lot of complaints even with L'Oreal. I am not sure if everybody's scalp has just gone on a strike against chemical colors or if these companies are changing the formula and purring in stronger chemicals than before. With L'Oreal, I have personally found inconsistency. 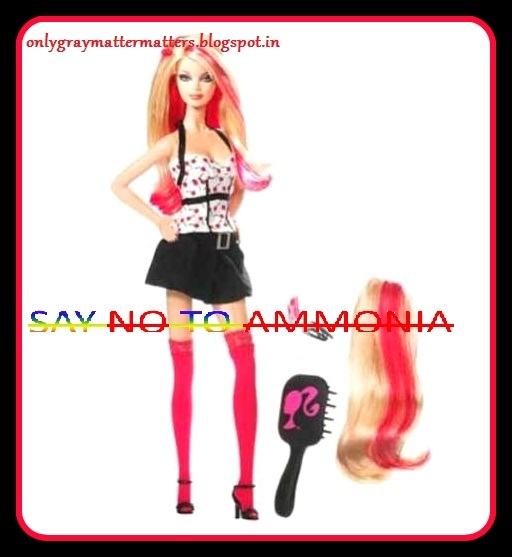 Some packs had very high content of ammonia than some other packs, but yes, it does not damage hair as fast as the other brands in the market. Garnier suits some but does have a lot of complaints. However, I am thinking, just for side burns, how wise it would be to spend 500+ bucks on a pack of hair color. Thanx a lot Gagan once again for devoting so much time in replying to my query with minute details and its going to be very helpful. U r perfectly right in ur analysis that colors r washing out fast coz my long sideburns being part of face and not head hair. Thanx again :)..
You are very welcome Sameer. I noticed you had left a comment earlier too but it was anonymous so i didn't know it was you. Sameer you can try henna and indigo on your sideburns and see how long that lasts. On different people, the results last for different amount of times. On the head, it lasts for 3 weeks or so. 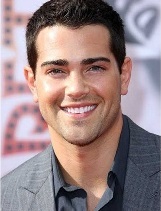 Since it is just a small patch of hair on each side of the face, it shouldn't be much of an effort and is safer. Also, it will ensure that more hair don't go gray and they won't displace the melanin in the surrounding hair like chemical color does. If you want, I can send you the details. OK. I got it Gagan. I will surely do that.. :)).. Btw, any guidance upon which henna and how to apply as in my home, there is no one who is into it so we all r novices and hv no idea abt it. That is, whether readymade henna or has to make it or which brand and how to use etc. etc. Warm Thanx again :)..
Sameer please email me for details and I will share over email. 1. I mix olive oil in my shampoo while shampooing (roughly equal parts of olive oil and shampoo, but I guess that depends on the hair). 2. After washing my hair, I wash it once with a mixture of cider vinegar in water (the instructions I found was to mix a tablespoon of vinegar in a mug of water). These have helped me tremendously, especially the first one. Over time, my hair has stopped being too frizzy, even when I forget to use that tip. Thanks for this thoughtful gesture Arathi. Documenting your first hand experience here will surely help a lot of people. I tried your olive oil tip today on my son's hair while shampooing and it actually does make a difference. There were less tangles when his hair dried today, though I oil them again after hair wash. The apple cider vinegar tip I am going to recommend to two of myblog members who had been looking to make their thick hair more manageable and smoother. One of them is from Dehradun and the other is the girl who has gone to China, she is from Kerala too. I had told you about her. I went through your blog thoroughly and it was very informative and helpful for any person struggling with similar problems. I am 23 years old Male, I am suffering from gray hair since 15. I was afrad to go for hair dye because of side effects and I still had a long way to go. 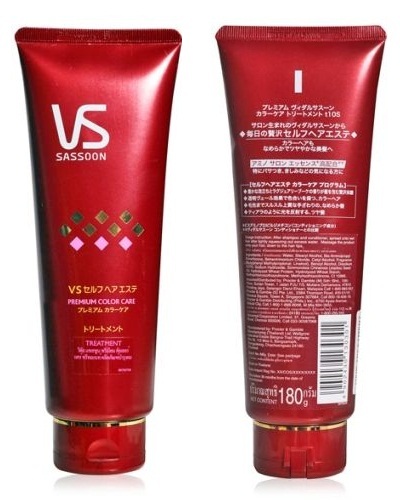 I Recently I had tried SCHWARZKOPF ESSENSITY hair colour for 4-5 times, which lasts a month after I apply everytime. Till now I have not had any side effects. I would have to work at a remote places for a year, where i cannot find schwarzkopf products. After your blog information I decided go for demi-permanent hair colour like L'Oreal Paris Casting Creme Gloss - Darkest Brown 300 (87.5 g+72 ml). 1. Can men use this product? 4. 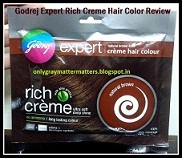 How many times can I dye with one L'Oreal Paris Casting Creme Gloss - Darkest Brown 300 (87.5 g+72 ml) . Hope you would help me regarding this. Thanking you in advance. Hi there, I have read your queries. First you need to comment with your proper name. I don't appreciate anonymous comments. Regarding your questions, I will answer them once you become a member of the blog. Please read the Blog Policy and complete the steps. Then let me know by commenting with your real name and membership details, or by emailing me with these details. This would only be a one time free consultation. Sorry about that. I had registered with my hotmail account, when i was posting the comment I dint find the way to login by hotmail account. Now I have subscribed through google account. The above query isd mine. Please help me out. 3. Thanks for sharing the details on quantity because L'Oreal excellence is thicker and the ratio of creme and develop is quite different from this one. So you need to take just a little bit more creme colorant than the developer (when you take out the ration between 87.5 gms and 72ml, the gms quantity comnes just a little bit more than the ml). Make sure to use gloves and take off ay rings or metallic jewelry. Mix the two in a glass or good quality plastic bowl (no metal container) and apply immediately. A good idea is to first check your entire head in front of the mirror to know which area has more gray haior and get the back of the head checked by a friend or family member and then start from the area with the maximum grays. Thoroughly coat each side of the gray stand. It will take 1-2 uses to figure out how much color you need for one application. Always start with a small quantity and then if you need more, take out more and mix immediately. Discard any left over mixture. That's it. Keep for 40 -45 min or the time mentioned in the leaflet and wash with running water till no bubbles and no more color is seen and water runs clear. Don't shampoo, just use the conditioner given with the pack. For tips on applying conditioner to short hair, read the article above about hair care tips for short hair. 4. Once packet should last 3-6 uses depending on how many gray hair you have and if you are doing full head application or just touch ups. If you have had grays for so long, I guess it is full head application for you, so it should be around 3 uses minimum. You really have answered my query. I will be doing the samething. Ya it will come for 4 uses I think. Your blog has really helped a lot. Thank you. 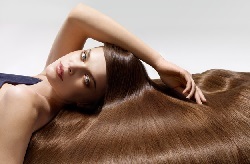 Hi Gagan....have you ever used argan oil to tame dry and frizzy hair? Dear Jalpa, I regularly use Argan after shampoo as a hair serum. I take very little quantity (6-8 drops) of argan oil on my palm, add one drop of ylang ylang essential oil to it and mix with finger. Then I dip a portion of my comb lightly in it and comb through to remove tangles. In winters it is mainly lint from woolens stuck in the hair length. If applied at night, it is completely absorbed by next morning with no oiliness at all and it does add shine and softness to my hair. That said, I also mix Argan along with a few other carrier oils and hold the bowl on medium flame for 4-5 seconds to warm it. Then add some essential oils and use that in hair roots and comb down to the lengths. Leave it overnight. 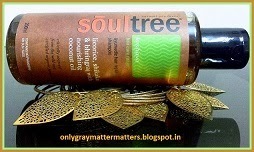 This helps the shampoo to lather well next day and also keeps hair healthy with no dryness or frizz. I am glad I stumbled upon your blog. I have a few grey starnds and had last year started colouring my hair - Loreal INOA. In the beginning it was all good but now I feel that me hair are frizzy and am also tired of the constant recolouring. I would prefer to go natural. I am inspired by your suggestion of henna and indigo. Is this some particular brand .? Where should I get it from? Also please do tell me how to go about making the switch from chemical to natural. The process. I would be eternally grateful. What is sls and why is it bad for ones hair. Dear Sapna, L'Oreal's INOA salon range claims to have no ammonia but the shampoo they use after the hair color does have ammonia and is supposed to open up your hair cuticles to let the color seep in. It is called 'lifting' and it leaves the hair dry and frizzy. And yes, the color does not stay long because it is demi-permanent and mild I guess. Henna and Indigo usage guide is paid. Please refer to the details under the 'Blog Policy' tab above. Please know that it will initially be a little effort because henna does work anyway on any kind of hair, but Indigo won't stick that well initially on chemically treated hair. It takes 3-4 applications for Indigo to give better results, though you will notice a visible positive difference in your hair quality from the first use itself. SLS stands for Sodium Lauryl Sulfate. Sulphates are detergents and foaming agents in any cleaning product. They can be found right in your toothpaste (to create a foam), to shampoos, shower gels, car wash, laundry detergents to dish washing liquids etc etc. On their own they are mere cleansing agents but continuous usage of such shampoos start itching the scalp and also 'over-cleans' hair, ripping them of their natural oils and leaving them dry. Some chemical impurities formed in certain products during the manufacturing, may combine with sulphates and form harmful cancer causing chemicals. So long term usage is not good. Most times dandruff and hair fall are caused by harsh shampoos which contain too much of sulphates. There are many other forms like Aluminum and Magenesium Sulphates etc. Some of these can also be derived naturally like Sodium Coco Sulphate is also SLS but derived from Coconuts. However, chemical production being cheaper, our daily use products are heaped with cheap chemical sulphates. I am really impressed with your research and your advises . I am here today for one such advise . I had few grey hair right on my forehead ,even after applying mehendi they did not go completely,so my parlour lady suggested me to go for Loreal hair colour for the crown part. I did get it done but now feeling very sacred as will it leave my hair fine ,did I do the right thing etc etc . Could you pls guide me can I get back to my normal hair if do not apply that again.Will this make my hair grey more ..I really do not know I am scared. Even though I have done my hair highlighted couple of time but got the same hair back except few grey hair that came ,do not know why . Hi, there is no reason to be scared as now what's done is done. If you do not apply color on these hair again, the color will partly fade over the next few months and the remaining colored part of hair will grow further down. L'Oreal Excellence cream is permanent color which first removes your natural hair color/natural melanin pigments and then deposits color molecules inside that empty hair strand. So such colors do leave graying wherever they touch, which includes some of your naturally black hair too. If they used Casting Creme on your hair, then not much to worry as that is demi-permanent and will wash out in a few shampoos. If they applied color on your hennaed gray hairs, the color will anyways won't last much and will fade soon as henna to hair color OR hair color to henna transition takes around 6 months for one to completely displace the other. Color cannot bind on hennaed hair and henna takes initial few months to completely remove chemical color molecules from the hair. Highlighting also leaves a lot of people with gray hair and so does rebonding. This is because of the chemicals involved in these processes, so there's nothing to be surprised about. Once a very young model approached me last year. He was getting his hair colored every 20 days because his profession demanded that and he was facing severe hair fall and brittle damaged hair, but was not willing to give up on color due to his profession. Anyways, problem arises when we use these continuously plus the harsh shampoos we use on chemically treated hair, are what further contribute to the damage. So just enjoy the color till it lasts and then decide if you want to continue with the color or choose something else. Henna alone will give orange color. Using Indigo along will make hair natural black. My best regards to you and thank you so much for all the good work that you are doing. I came across your blog while searching for a natural way to colour my grey hair and went through your blog. I look upon it as a boon. I Tried many ways.... henna to chemical hair colour... but ended up only spoiling my hair and scalp. When I use henna my hair goes dry and tangled leading to hair fall and itchy scalp as i already have dry skin. With chemical hair dyes it's even worse.... I have even developed bald patch. I was totally fed up and clueless about how to manage this issue when I found your blog. Dear Gagan it will be of great help if you can share the henna- indigo hair colour procedure. I have already subscribed on email and received a confirmation. Please let me know on how I should proceed... how to pay and become a blog member.... Thanks in advance. I have just subscribed to ur posts thru my mail id. Please answer my query regarding Natural Hair Coloring menthod. Waiting desperately for your reply. Your hair is so pretty as are you!! My Natural hair color is dark/medium brown. For many years I highlighted/low lighted my hair. Several yrs ago I noticed my hair getting very thin w/ allot of lost hair. I am 50 yrs old so perhaps some hair loss is due to aging process. I stopped getting my hair professionally highlighted/low lighted & colored. I started using an Ammonia Free Demi Color – ‘Ion’ to color my hair about once per month. I also started using Surface Awake shampoo to promote hair growth. While I’m not losing as much hair as before & I do like the color results I get from Ion I would love to get away from all harsh chemical on my hair but still have a nice Chocolate Brown color. Can the Henna & Indigo colors help me accomplish this? Thank you in advance for your help!! Dear gagan I have lots of grey hair an wana color my hair black by using natural colors but not wid the chemical . can u help me from where I can get indigo and heenna an the instruction to apply. 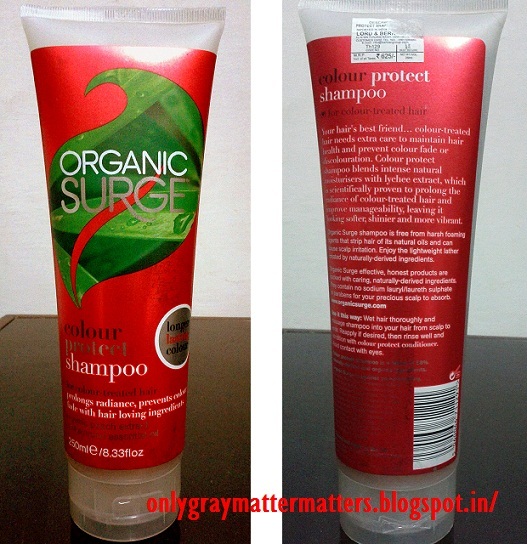 Dear Shaan, you can check my article "Color your hair without chemicals" above and select the desired pack. Then email me at lifesutrabygagan@gmail.com for our company bank details. You can payby NEFT/IMPS/ Account payee cheque. Cash and Cash Machine Deposits attract extra service charge from the bank's side. Once you make the payment, we will courier it to you within 1-3 business days. Most parcels are shipped within 1 day but may take more time in case of higher number of orders or during inventory restocking. Thanks Gagan for Replying so quick and waiting for my order to delvier. However can you have your expert advise for my daughter hair which are hard and curly. They are too dry and rough. wanted to make them smooth and shiny. pls help she is 8 years old. I am very happy with the product that i bought from you and have helped my hair improve a lot. Further also the shampooing tips were very useful. I was really tired of colouring and increased grey hair, you have provided me the right solution. I really thank you for the good work that you are doing with your product and priceless advice. It is hard to try and believe on new products in todays world, but my decision to trust you was 100%worth it and i am really happy . Dear Preeti, thanks for being a long term customer and sticking with us and also for recommending your product to your friends and ordering for them too :) Very glad to know that the tips shared helped your daughter's hair and that it made your life easier. Will always make efforts to keep your trust in us and the quality of our products super high. Hello ma'am, This is jagdish (email id hemajagdish). I sent you email and a reminder too but so far haven't received any reply. Pls advise how can I proceed to purchase the products mentioned in blog. I have heard a lot about the good effects of your hena, amla and indigo powder from my friend who has been using them since the past couple of years. I wish to order these 3 packets from you. Please tell me what is the process of ordering them. After that decided to go natural and came across your blog. Would like to order value trial pack but don't know how to order... Hope you will help me.